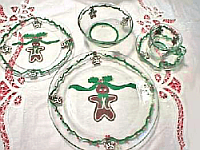 Hand painted Gingerbread trifle bowl with matching ice cream/dessert dishes. 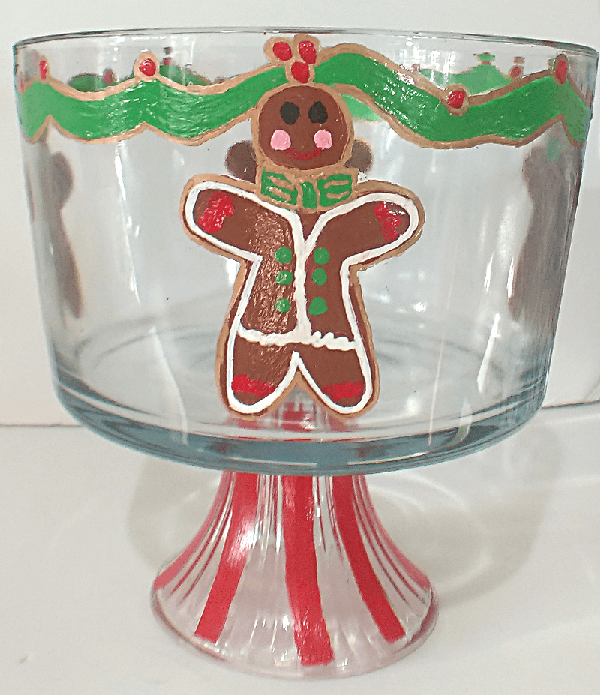 Hand painted Gingerbread trifle bowl looks lovely on your Christmas table. 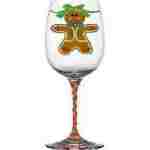 Hand painted with our signature gingerbread men dancing all around will surely put you in the festive mood. 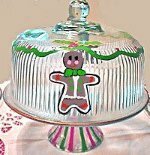 Choice of serving bowls to match.Gingerbread Trifle Bowls hold so many scrumptious desserts that can be layered for wonderful visual enjoyment. 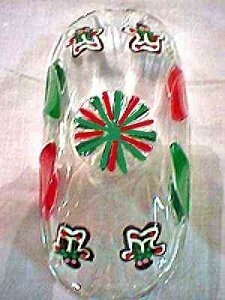 This trifle bowl is gorgeous. I am so excited to serve this Christmas. I also got the trifle ice cream dishes and they are beautiful. Your hand painting is just lovely and now I can't wait for Christmas to get here. Thank you so much.